Dangerous Trends in the Indiana Trucking Industry | Keller & Keller from the American Trucking Association (ATA), semis continue to dominate the American trucking industry. Titled ATA American Trucking Trends 2017, the study found that semis carried 10.42 billion tons of freight in 2016, more than 70 percent of the entire U.S. shipping industry. Gross freight revenues in 2016 exceeded $676.2 billion. Hoosiers need only look at the traffic along Interstate 70, Interstate 65, Interstate 69 and Interstate 465 to see this in practice. As 18-wheelers cart goods from manufacturing centers to points of distribution throughout Indiana, they pose a potential threat to motorists. Given the steady growth of the industry, this threat may only be getting worse. Shortage of truckers. With a current shortage of about 50,000 truckers across the country, trucking companies may be forced to push their fleets and drivers to their limits, increasing the chances of fatigue-related crashes and poor maintenance of overworked trucks. The problem is expected to get worse as the industry will need to hire nearly a million drivers over the next decade, according to the American Trucking Associations. Aging of current truckers. 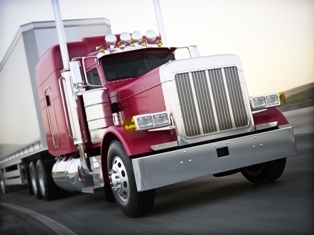 According to the Bureau of Labor Statistics, the average age of current commercial truckers is 55. While older drivers may have more experience than their younger coworkers, they are also more likely to suffer from health issues such as sleep apnea, chronic pain requiring medication, and other conditions that can compromise driving safety. People who have been involved in semi accidents face not only the pain of injury and potentially long-lasting effects, but the financial strain of medical bills and lost wages. The best way for the people of Indiana to protect their rights is by working with a qualified professional. With over 75 years of experience in personal injury, Keller & Keller has achieved hundreds of successful outcomes for clients who were involved in a trucking accident. The skilled attorneys at Keller & Keller know how to work with insurance providers and trucking companies to ensure clients get what they deserve.